i dont like mooncake with egg yolks too... oily!!! chop from Amsterdam, yay FC2... kamon panda, me chopping fr far away hehehehe! omg!! *drool* why la show the durian mooncake here?! 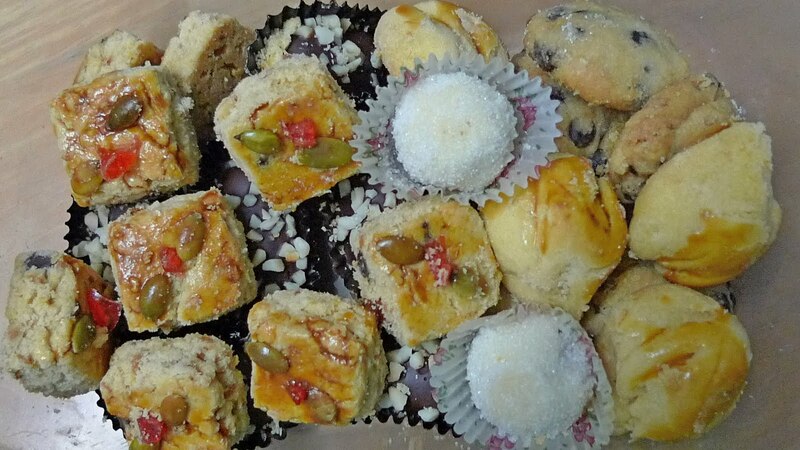 =( so yumssss!!! gosh! d durian coulis just look so yummy!! ish tempting me with all the durian mooncakeS!!! hahhaah taro-yam! simply call it only la u. LOL! LOL! 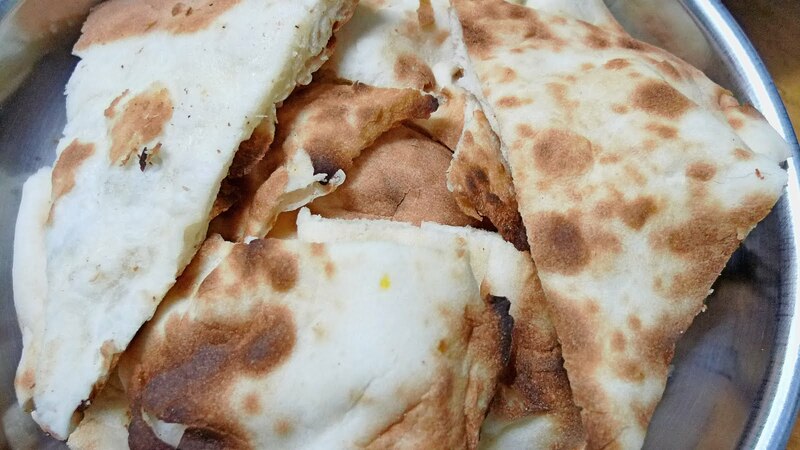 naan bread! 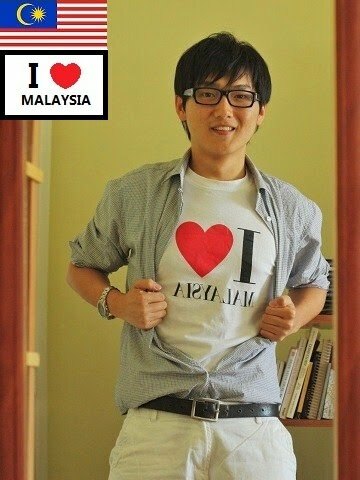 mmg 1 malaysia la u! 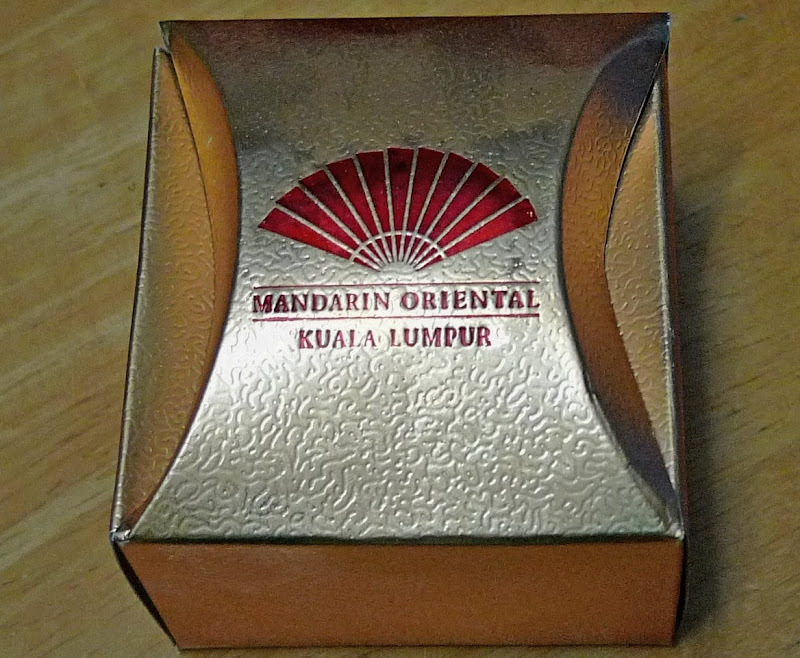 how much is the moon cakes from Mandarin Oriental KL?? my my, my stomach is already yelling for food..love all the mooncakes! 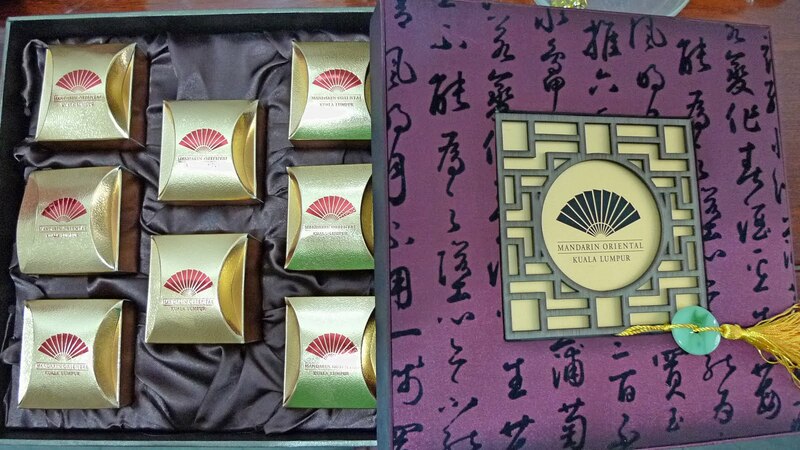 wow, you bought one whole box of mooncakes from mandarin oriental?? 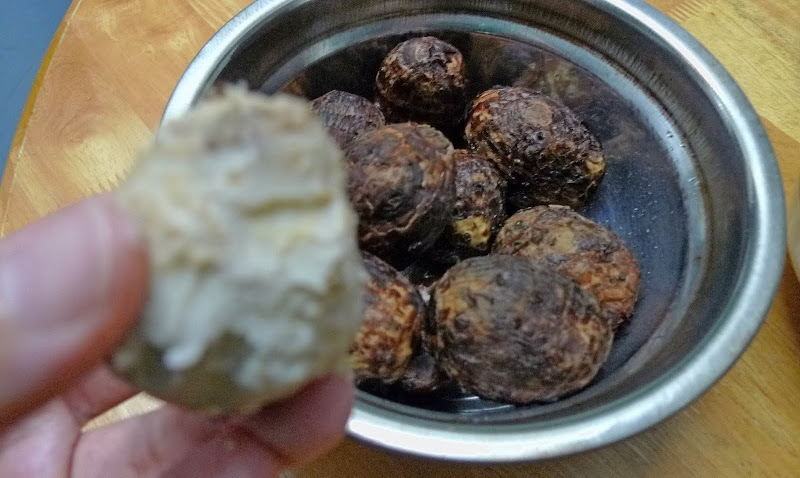 but don't think you finished everything that night lah, sure got leftover for days after..
yearrr, i hate durians!! 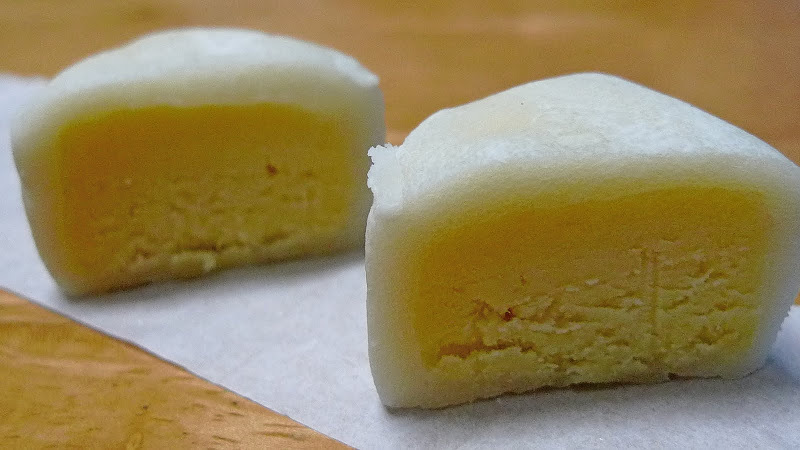 i will never eat durian mooncakes, and not even going to buy that.. yucks!! that taro looks very nice!! i love that, hehe!! 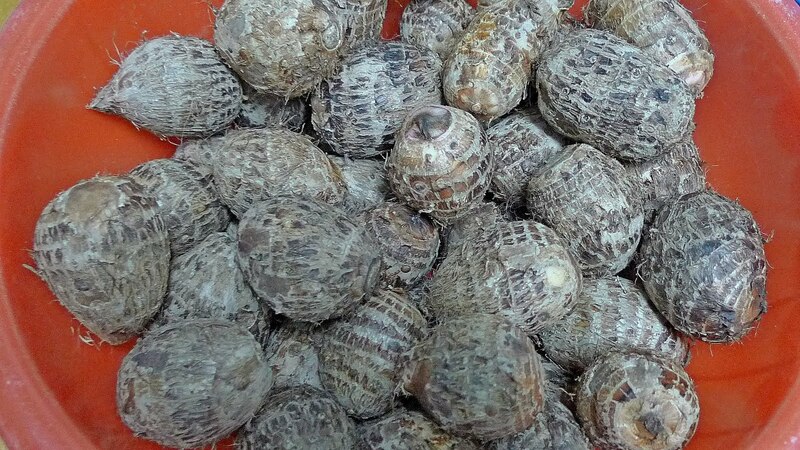 and i think we seldom eat these on days other than mid-autumn huh?? haha, so very 1-Malaysia!! mooncakes + raya cookies + naan.. only you have that idea to bring this out.. hahaha!! but did you eat them separately?? then this is not truly 1-Malaysia lor..
my waistline keeps expanding for just looking at all these snacks. ...but also a bit like soap! 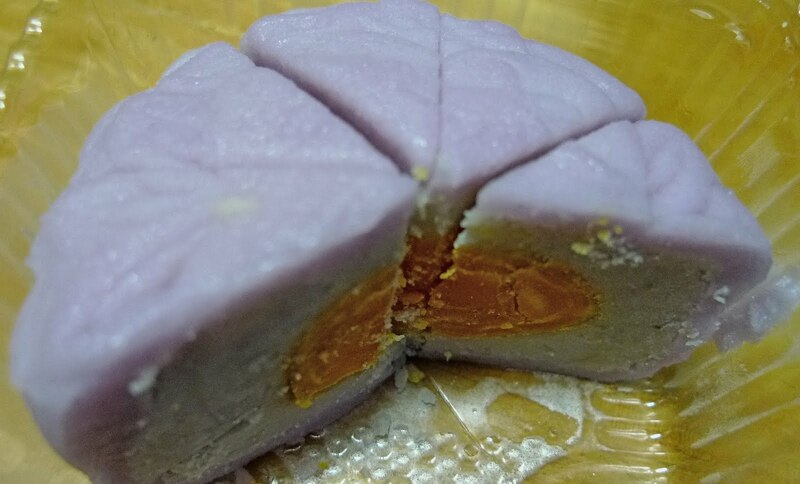 I still prefer the non-halal mooncakes because they are not so dry/rough and flat in taste. Love those with egg-yolks, double yolks just nice. 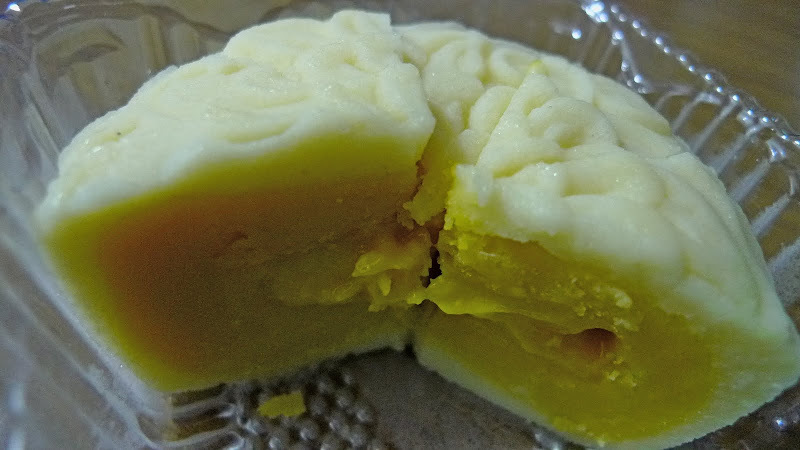 Durian mooncakes give me the shivers. 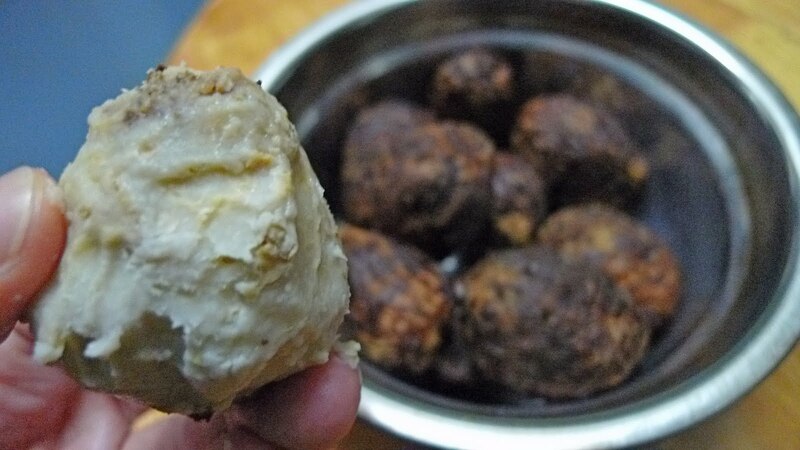 I only eat durian in its original form, not durian in other forms. *Shiver* To each his/her own, I suppose. Love those mini-yams. Good thing they are available all year round. 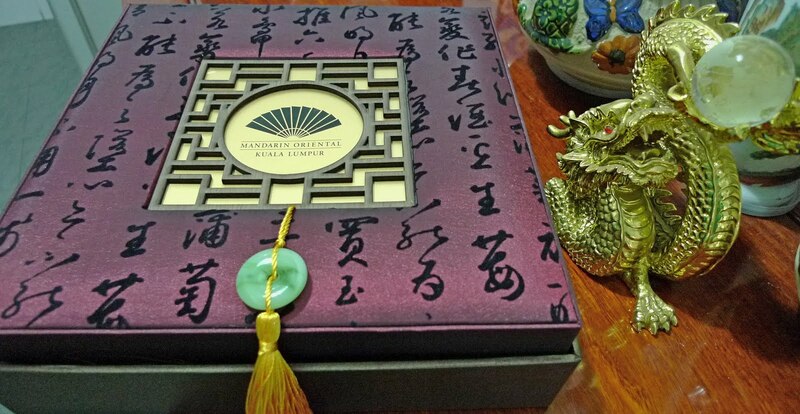 The Tai Thong mooncake looks ornate - very Oriental. Pretty. The cookies look yummy too. What a food celebration you had.. Ate...er..oh, i went for western food with my girl cos the chinese stalls were closed during that evening around my area..either closed or too crowded to go in.. 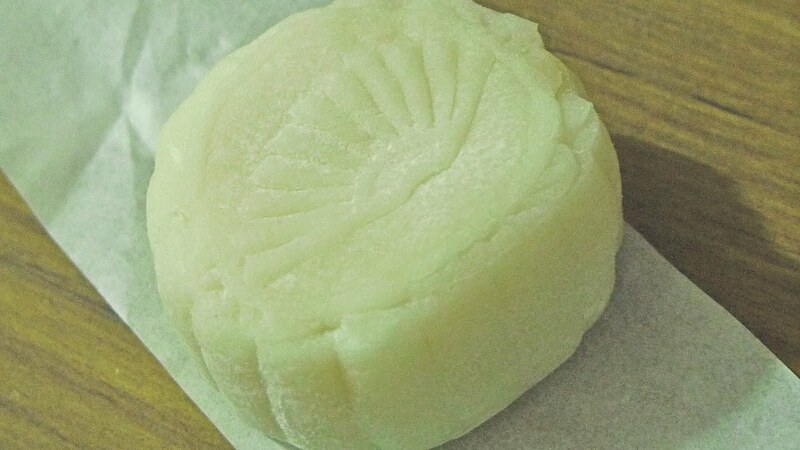 I love the durian mooncake from Shangri-La Hotel. Retails at RM16 a piece! Expensive but utterly delicious. 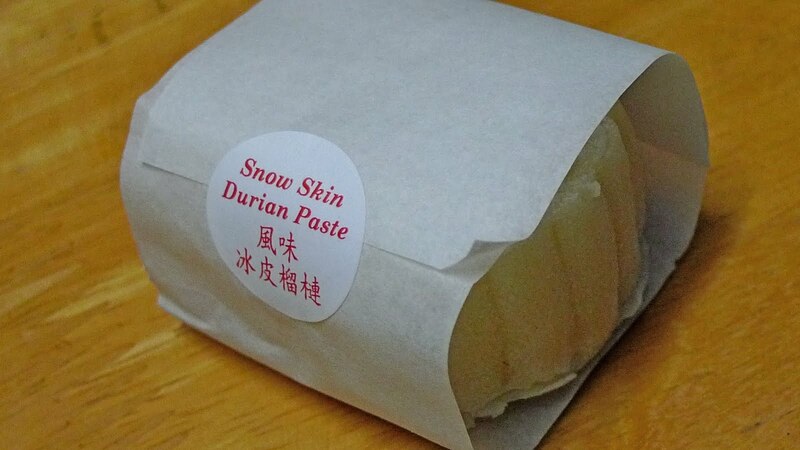 No durian, no snow skin! just an old fashioned Bananaz lup the traditional..haha. 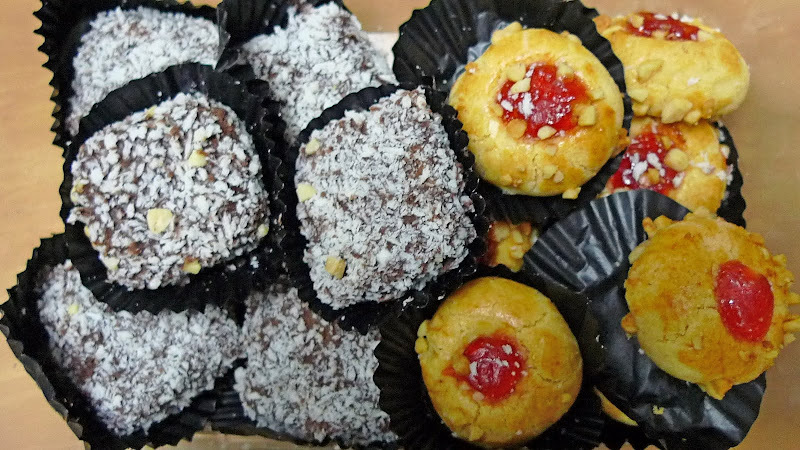 Oh naan & cookies are nice..and you semua 'taro' into your tummy.. truly 1Moonlaysian festival. I deliberately flew back home just for the Mid-Autumn Festival and really have a great time there. There is no other places in Malaysia that have the same atmosphere as in my hometown. got vendor present us the MO mooncakes...guess what...everyone aiming for the packaging box instead...hehehe.. These pictures of foods make my stomach grumble. I want those mooncakes Foong. 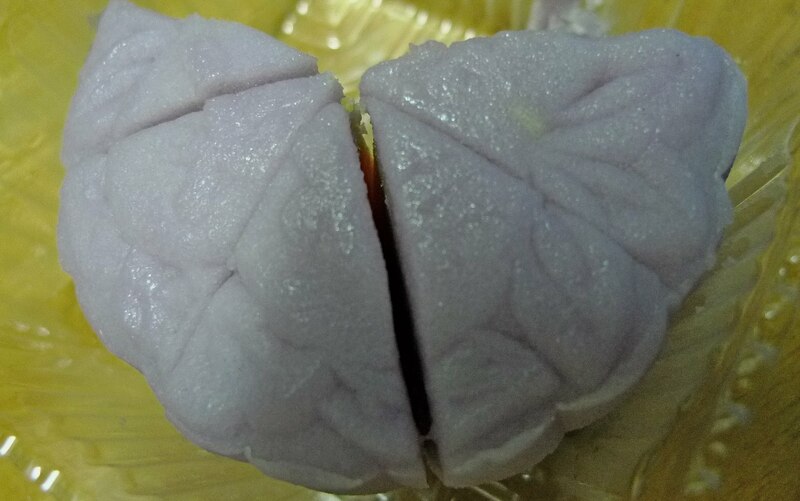 omg the durian mooncake looks so YUM!!!!! 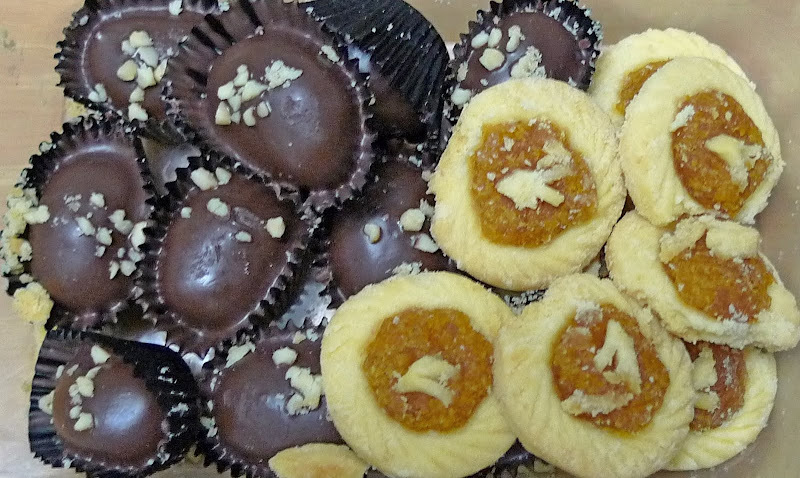 Honestly, your blog is the best on mooncake topic! So you've finished all the mooncakes? 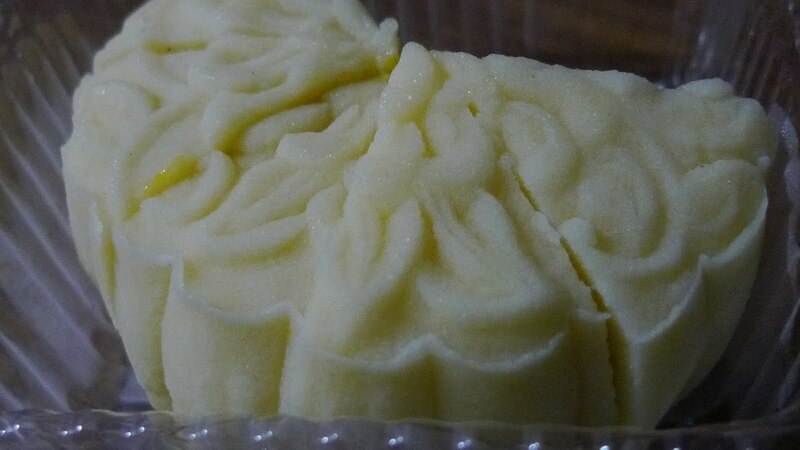 Wah, you finally tried Tai Thong's Snow Skin Durian Coulis and yes, it's delicious! Happy mooncake festival,loved all the mooncakes. I'm quite familiar with this festival. I came to know a lot about this festival from one of my friend. Hope to participate in this festival if I get a chance. looks like quite a feast foong, so many treats! I am interested in answering some of your questions, but remember, everyone is different, and it depends on the kind of enviroment that particular chnese person was raised and if he/she was born in australia. it depends on the kind of enviroment that particular chnese person was raised and if he/she was born in australia. on the kind of enviroment that particular chnese person was raised and if he/she was born in australia.